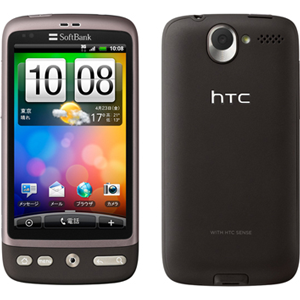 The HTC Desire is the close sibling of the HTC-manufactured Google Nexus One. In fact, they share the same screen, processor, flash memory, and connectivity options, and have very similar aesthetics and dimensions. Originally shipping with Android 2.1 Eclair, the device has seen officially supported updates to Android 2.2 Froyo. Android 2.3 Gingerbread was also officially made available from the HTC developer website, but is unsupported. However perhaps due to its similarities to the Google Nexus One, the Desire enjoys a vibrant development community and has since seen several well optimized ports of Android 4.0 Ice Cream Sandwich.